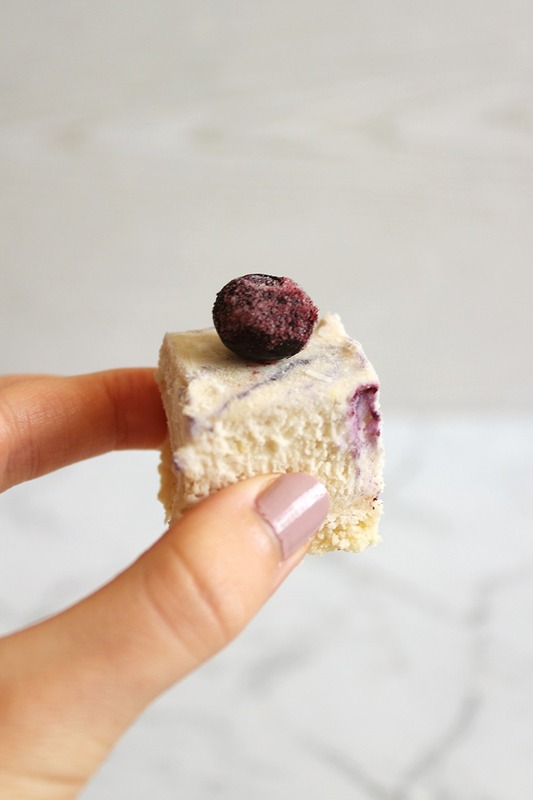 This Raw Vegan Blueberry Cheesecake is lovely and subtle with small pops of sweetness throughout and a delicious cashew base! I don’t know about you guys but I love raw treats, whether they’re slices, bliss balls or cheesecakes. They’re usually simple to prepare and have a very real, un-artificial taste that I find very appealing. This cheesecake, in particular, has a deliciously subtle flavour that isn’t crazy sweet but rather very pleasant. 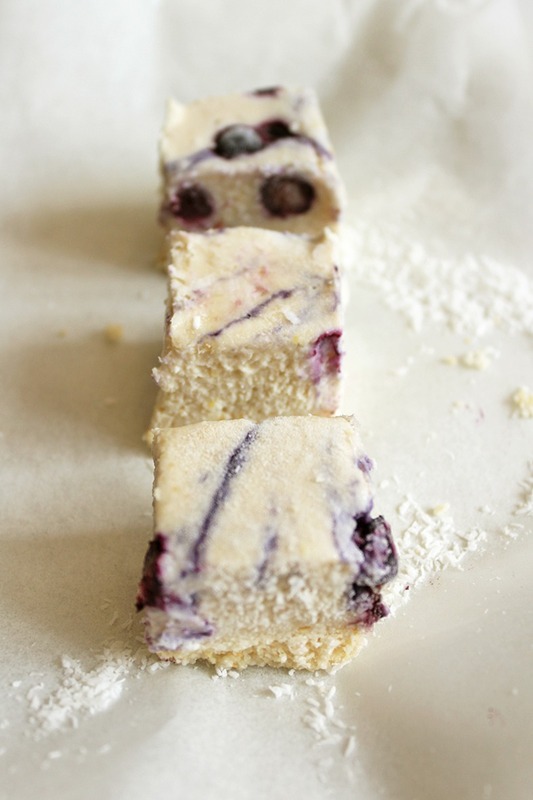 It uses coconut as the main base in the forms of coconut cream, coconut oil and desiccated coconut. Making this cheesecake creamy and smooth. It calls for 8 scrumptious ingredients and takes about 15 minutes to prepare! Minus all the freezing in between of course. One of my favourite things about this cheesecake (besides the taste) is that it’s very easy to switch up if you want. 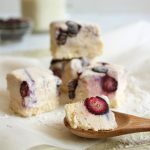 Why wouldn’t you want a recipe that can be easily altered every now and then to create unique versions and keep your taste buds on their toes? 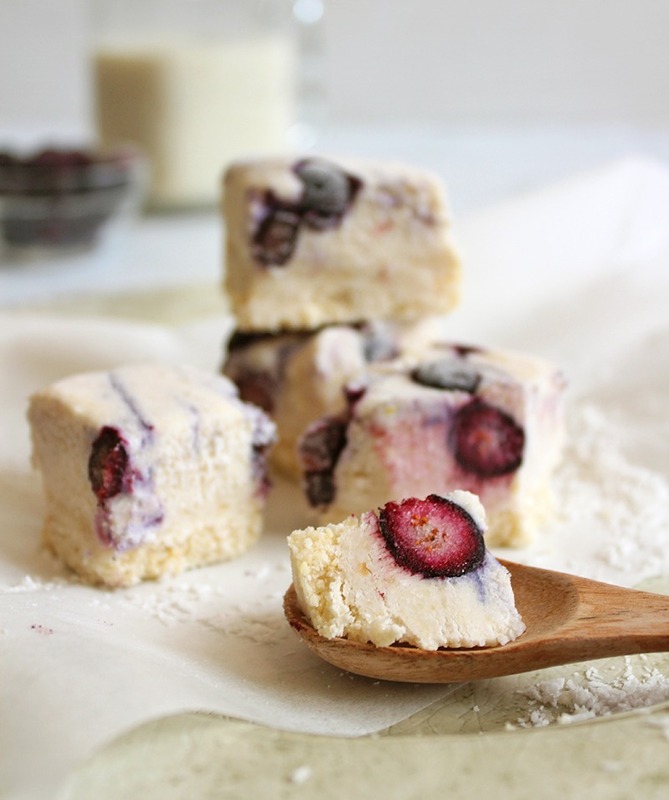 Swap frozen blueberries for frozen strawberries, frozen raspberries (yum!) or a mix of them all! If you’re looking for more delicious raw treats, check out this No-bake Lemon Slice and these Chocolate Bliss Balls. Line your cake tin with parchment paper leaving enough on the side to pull the cheesecake from it when it’s done (see video above). To make the base, add the desiccated coconut, cashews and rice malt syrup to a food processor and blend until it’s crumbly. Pour the base mixture into your lined tin and press it firmly into the bottom, making sure it’s even in thickness. Freeze this while preparing the filling. In the food processor again, add the cashews, desiccated coconut, coconut cream, coconut oil, vanilla extract, lemon rind and rice malt syrup. Blend for roughly 1 and a half minutes, it should be smooth and creamy. Now remove the base from the freezer and pour the filling mixture into the tin. 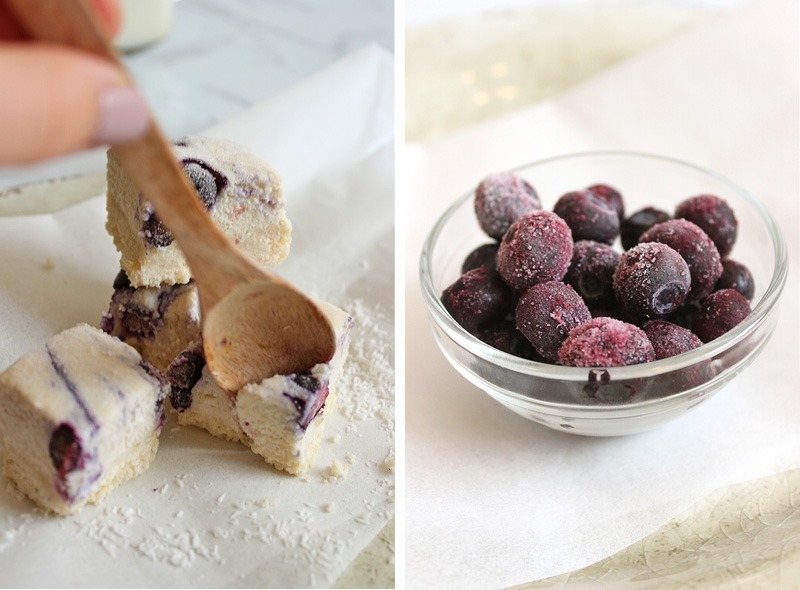 Add the blueberries on top and use the bottom of a metal spoon to swirl them around gently. Freeze for about 3-4 hours or until it’s hard to the touch. Remove from the tin, slice as desired and serve straight away. Enjoy! 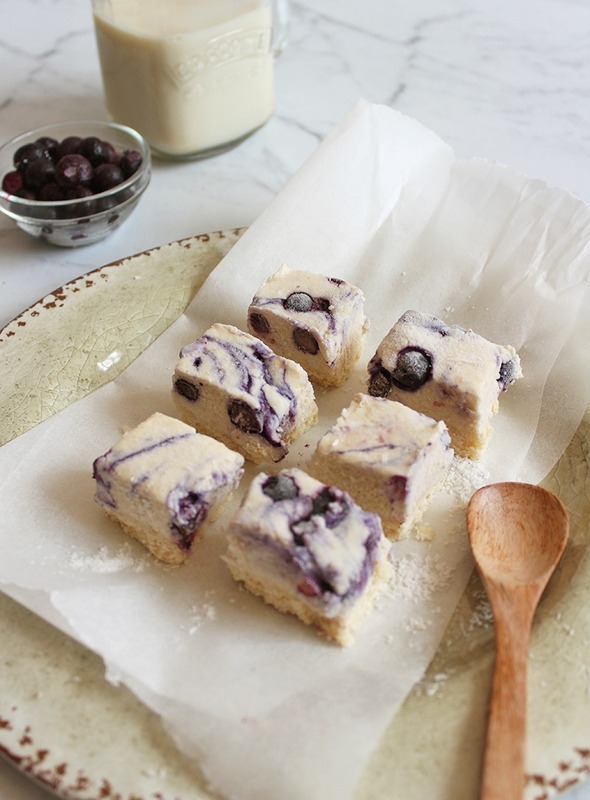 The Raw Blueberry Cheesecake can be kept in the freezer for up to 2 months.